Disclaimer: What is included in this blog is the opinion of the individual writing the blog and does not explicitly represent the thoughts or opinions of the NCAA. Student-athletes face excessive pressure related to academic and athletic life. These pressures are key factors that influence prescription misuse within the student-athlete experience. Stressors faced more often and to a greater degree than their peers include: time demands, sleep deprivation, relationships with coaches and scheduling missed class/exams. Other pressures stem from self-imposed and coaching expectations regarding academic and athletic performance. According to Mind, Body and Sport, an NCAA publication seeking to provide insight and support for student-athlete mental wellness, student-athletes appear to be less likely to seek help or receive mental health services when dealing with these stressors. Additionally, a higher percentage of student-athletes are prescribed narcotics for pain management than the general student body. Research indicates increasing trends of ADHD and pain medication use both with and without a prescription with almost 25% of NCAA student-athletes reporting prescription pain mediation use., Further, student-athletes who reported taking ADHD medication(s) indicated that they were more likely to use without a prescription. Add in the mental health factors associated with injury and recovery, and the potential for misuse is plain. The tough question is: how do we address it? My solution involves three simple steps. We need to change the attitudes we have towards prescription misuse/abuse. A mindset focused on harnessing internal motivations provides a foundation for positive change. Changing the attitude associated with prescription abuse begins to break the “no talk, don’t talk” bubble. The impact of prescription drug abuse goes beyond the individual. 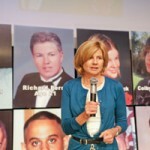 Its ripple effects can be traced to the team, campus life, and the community. It is everyone’s problem. Student-athletes need more than just “don’t do it”. Historically we see how a “just say no” philosophy fails to address abusive behavior. Education regarding what prescription misuse and abuse entails and the health impacts misusing or abusing prescription medications can have, is critical. Student-athletes are held legally responsible for what they ingest. Institutions and athletic departments should focus on designing a proactive plan to address key factors influencing student-athlete prescription misuse, including student-athlete access to academic and mental health services. Conversations with institutional Student-Athlete Advisory Committee’s (SAAC’s) will be essential to engaging the student-athlete voice when developing a proactive plan to address prescription drug abuse. A screenshot from the pilot student athlete Generation Rx toolkit, courtesy of Laura Farleman. 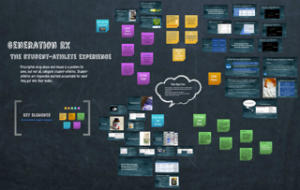 A student-athlete Generation Rx toolkit is currently in development. Together with the help of the NCAA, Cedarville University School of Pharmacy and The Ohio State University College of Pharmacy, the pilot Student-Athlete Generation Rx toolkit will launch in 2016. This toolkit will ultimately provide resources to start addressing prescription drug abuse from within the athletic experience. Davoren AK, Hwang S. Depression and anxiety prevalence in student-athletes. In: Hainline B, Kroshus E, Wilfert M, eds. Mind, body, and sport understanding and supporting student-athlete mental wellness. 1st ed. NCAA; 2014:38 -39. Hainline B, Bell L, Wilfert M. Substance use and abuse. In: Hainline B, Kroshus E, Wilfert M, eds. Mind, body, and sport understanding and supporting student-athlete mental wellness. 1st ed. NCAA; 2014:40-45. NCCA national study of substance use habits of college student-athletes. National Collegiate Athletic Association. NCAA.org. https://www.ncaa.org/sites/default/files/Substance%20Use%20Final%20Report_FINAL.pdf. 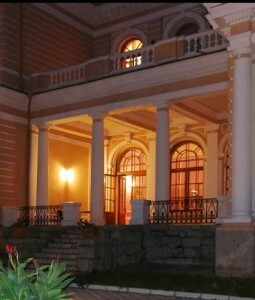 Published 2013. Updated 2014. Accessed December 20, 2015. NCCA student-athlete substance use study: executive summary august 2014. National Collegiate Athletic Association. NCAA.org. http://www.ncaa.org/about/resources/research/ncaa-student-athlete-substance-use-study-executive-summary-august-2014. Published 2014. Accessed December 20, 2015. Laura Farleman is in her second professional year at Cedarville University School of Pharmacy, and in her last year as a Division II student-athlete.. She serves as the Great-Midwest Athletic Conference National Student-Athlete Advisory Committee Representative and the Division II student-athlete representative to the Committee on Competitive Safeguards and Medical Aspects of Sports, contributing student-athlete insight about health and safety in collegiate athletics. Long term, Laura is pursuing a career in neurology in hopes of improving the longevity and quality of life of individuals with neurological conditions. Why Do We Have Candlelight Vigils? 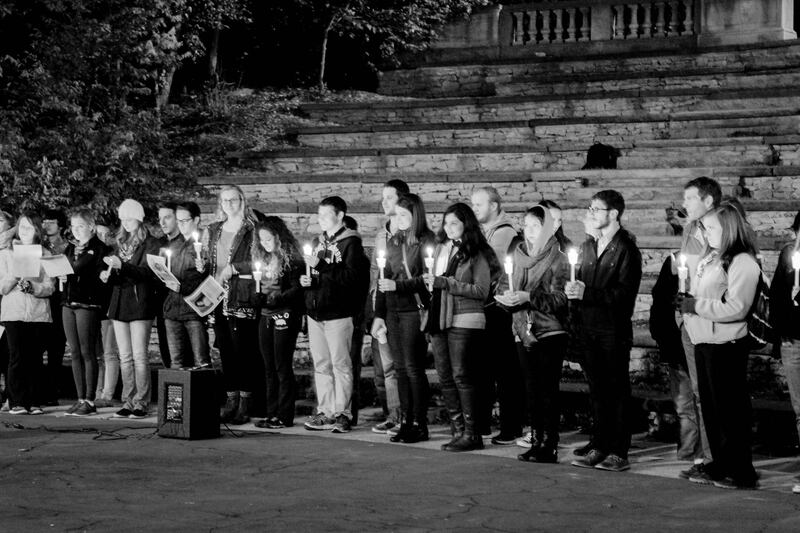 During the last week of October, NOPE Task Force organizes dozens of candle light vigils across the United States and Canada in memory of those lost to and those suffering from substance abuse. We’ve done this for many years for one main reason: to raise awareness and open the doors to recovery by eliminating the prejudice that has followed the disease of addiction. It’s a mission NOPE has supported since our founding a decade ago. But changing this attitude isn’t easy. Too many people still think of addiction as a moral failing. In many circles, addiction is still spoken of in hushed tones, and patients and their families are considered weak and somehow deserving of their fate and are less worthy of our care. The stigma associated with the disease of addiction is one of the largest contributors to our nation’s drug overdose epidemic. Let’s start by getting people into treatment. Many people who struggle with an addictive disorder fail to seek treatment, partially because of their fear that they will be labeled as an “addict,” and that the stigma will stick to them in both their professional and personal lives. If we removed the guilt and shame from the equation, more people would find it easier to make a realistic assessment of their substance problems and discuss it openly with health care providers. The medical profession is another place to address stigma. For many years, doctors were slow to recognize addiction as treatable, and so patients were left to find help outside of the traditional medical community. Today, the medical community is recognizing unhealthy, addictive behavior as part of its focus on patients and applying evidence-based approaches in their practices. We need to make sure that continues and expands as advocated by the federal healthcare reforms. Additional funding for drug treatment also should be factored in to fight stigma. As we know, there’s a huge impact and cost of addictive disorders on our society, but the funding for such treatment is disproportionately low compared to many other forms of medical illnesses. For many, the coverage that’s available is not sufficient, leaving them without the treatment needed at critical moments that can alter the course of their lives. In a world without stigma, addiction should be paid for on a level playing field with other medical problems. Stigma follows people even in recovery, especially when it comes to employment, education, insurance, the ability to vote, and many other important aspects of living. Just because someone struggled with addiction in the past should not make life that much more difficult today. Students and community members gather for a candlelight vigil at The Ohio State University on October 29. 2015 (photo courtesy of Wendy Lin). By eliminating stigma and prejudice, the tragic loss of life from drug and alcohol related deaths will diminish. With the removal of shame comes the hope for recovery and survival. That’s what we’ll strive to accomplish during our vigils. Join us in making this happen. This article was originally published on nopetaskforce.org. 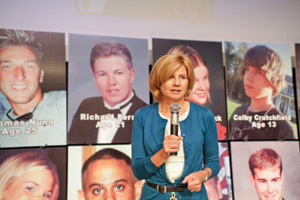 Karen Perry is the executive director of NOPE Task Force. The misuse of prescription drugs and the resulting effects on our society is one of our most serious public health problems. This phenomenon has a bearing on the development of substance use disorders, worker productivity, personal relationships, the rising epidemic of heroin use, drug overdose deaths, and more. 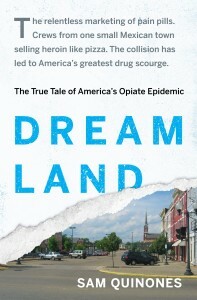 Dreamland: The True Tale of America’s Opiate Epidemic by Sam Quinones (Bloomsbury Press, 2015) does a masterful job of elucidating an important aspect of this problem – factors driving the misuse of opioid pain medications and their relevance to the upsurge in the use of black tar heroin. This book is a must-read for anyone wishing to understand the influence of pressures to enhance treatment regimen for chronic pain, marketing approaches within the pharmaceutical industry, unscrupulous prescribing practices in so called “pill mills,” and a different business model for providing black tar heroin to those becoming dependent on these substances. Underlying all of this is a change in our culture, signaling a departure from “Dreamland” and the strength of our communities which can serve as a deterrent to this opiate epidemic that thrives in the isolation of our citizens. 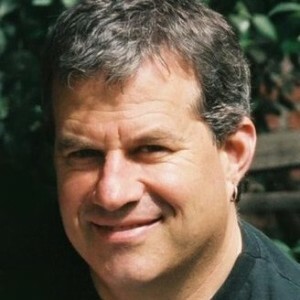 I had the opportunity to interview Sam Quinones for a short podcast to be posted soon by the Higher Education Center for Alcohol and Drug Misuse Prevention and Recovery (HECAOD.osu.edu). I asked him about the significance of the Dreamland story for our college campuses. After all, we know that the traditional college student is at the average age when the misuse of prescription medications begins. So the lessons learned through his exhaustive research surely have relevance to our prevention efforts among college students. His response and his stories, like the fundamental theme of his book, relate to culture. How can we return to a collegiate dreamland were more of our students focus on the excitement of learning as opposed to the misuse of alcohol and drugs? How can we ensure that student athletes are not exposed to potentially dangerous pain medications in the interest of keeping them on the playing field? How can we make sure that more of our students have access to collegiate recovery communities to support their successful navigation of the college experience? As Mr. Quinones spoke, our need for more holistic environmental approaches to prescription drug misuse prevention was on my mind. We certainly need to use resources such as those provided through the Generation Rx Initiative (GenerationRx.org) to educate our students about safe medication practices, but “Dreamland” will be built around other efforts as well. We must establish policies to guide our use of medications and consequences for misuse. We must partner with law enforcement, counseling services, student health, residence and Greek life, and disability services. We must engage well-trained peer educators. We must incorporate screening, brief interventions, and referral to treatment (SBIRT) models relating to prescription drug misuse. We must provide safe alternatives for our students to prevent recreational drug misuse or self-medicating tendencies. We must limit student accessibility to medications that are not prescribed for them by educating those who have prescription drugs legitimately about secure storage and by providing drug disposal options. And we must consider mechanisms for making naloxone available on our campuses to help prevent opiate overdose deaths. Mr. Quinones has chronicled how Portsmouth, Ohio, has come “up from the rubble” to emerge from their status as “ground zero” in the opiate epidemic. Together, through the use of a more holistic approach to medication safety, we can help keep our campuses and our students out of the rubble as well. 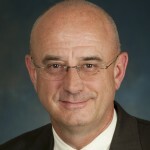 Kenneth M. Hale, RPh, PhD, serves as Co-Director of the Generation Rx Initiative, Associate Director of the Higher Education Center for Alcohol and Drug Misuse Prevention and Recovery at The Ohio State University, and clinical professor in the Department of Pharmacy Practice and Administration at The Ohio State University College of Pharmacy. His professional interests and specializations include prescription drug misuse prevention. He recently was awarded Cardinal Health’s Pillar of Strength Award for his work with the Generation Rx Initiative. 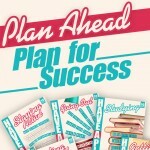 The concept of “Have A Plan” is based on mindful and intentional decision-making. The “Have A Plan” campaign was realized when we acknowledged the decisions that students continuously make regarding alcohol, drugs and other hot button topics. We committed to encouraging students to think about their choices and create a plan for their approach before they find themselves in risky situations. Instead of saying “don’t do this” or “do that,” we want to give students as much information as possible in hopes that it will resonate with them or spark a change in their thought process that influences positive choices. 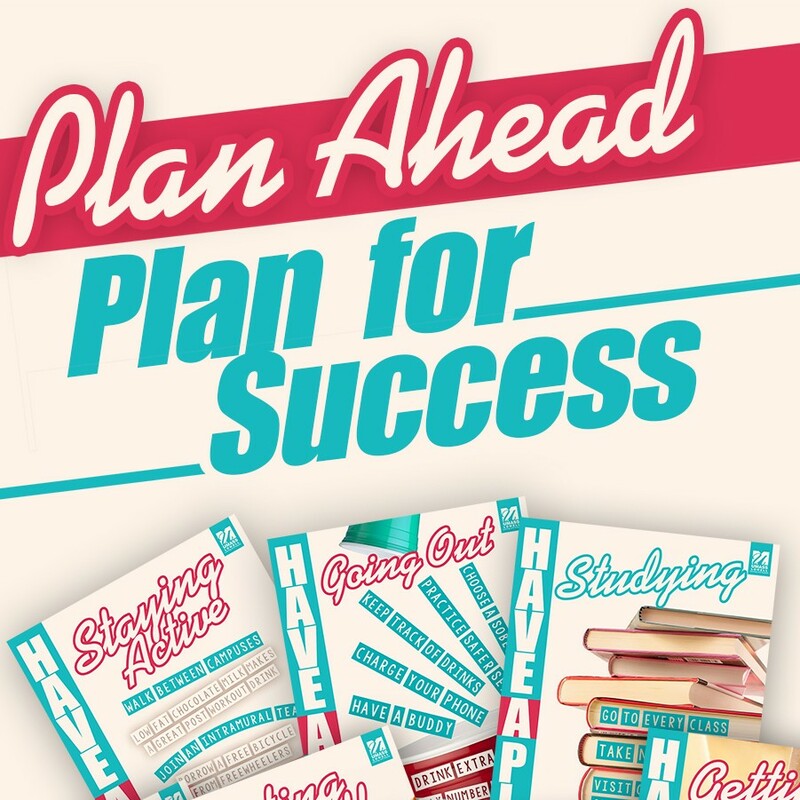 To promote the “Have A Plan” campaign we created ten posters, each of which are dedicated to a unique topic: getting involved, going out, sleep, getting consent, eating well, staying active, quitting smoking, taking medications, studying and managing stress. Each poster contains suggestions for making decisions related to the topic. Each suggestion is intentionally short and to the point because students are unlikely to stop and read much longer text while on-the-go. Our strategy is to have the posters displayed all over campus and integrate them into university-owned social media outlets so that students are exposed to our messaging multiple times. We hope that repeat exposure will encourage students to more seriously consider topics they may not have reflected on previously. With this reflection we hope to influence them to have a plan for these situations. Image courtesy of Christyn Bergquist. 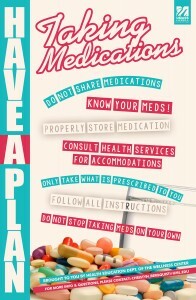 One of the topics addressed in the poster series is “Taking Medications” (pictured). We know that most students who use prescription drugs for nonmedical use get these drugs from a friend. We wanted to make it clear that students should not share their medications with others and that this is a specific violation in our conduct code. 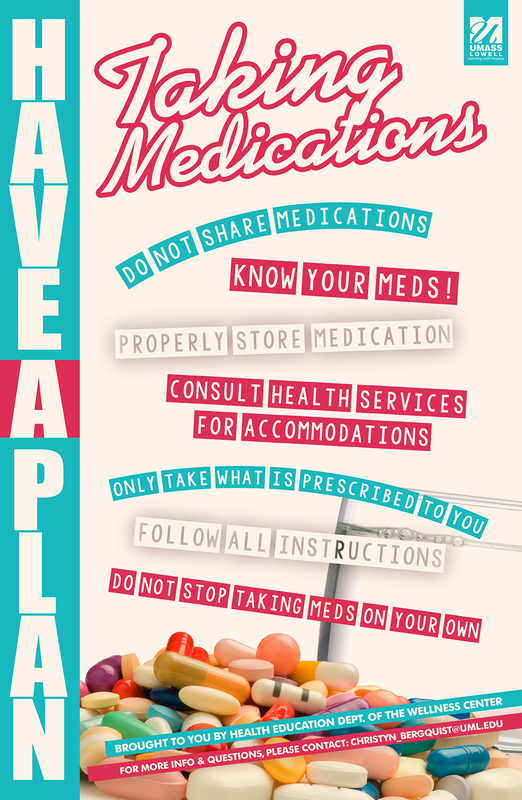 As we discuss this posters with students, we emphasize the impact that choosing to share their medication or taking medication not prescribed to them may have on their college career. Many students arrive on campus without thinking about how they will manage their medication. They may not expect a peer to be interested in using their medication. Hopefully, through this campaign, we will raise awareness of this possibility and be prepared to respond. As we progress into the first semester of this campaign, we are integrating the concept of “Have A Plan” into many of our outreach efforts, including class room presentations and campus programming. Our goal is to influence students to be prepared with a plan and the ability to make a mindful decision and response in high risk situations, minimizing their involvement in high risk behavior and increasing their potential for success. 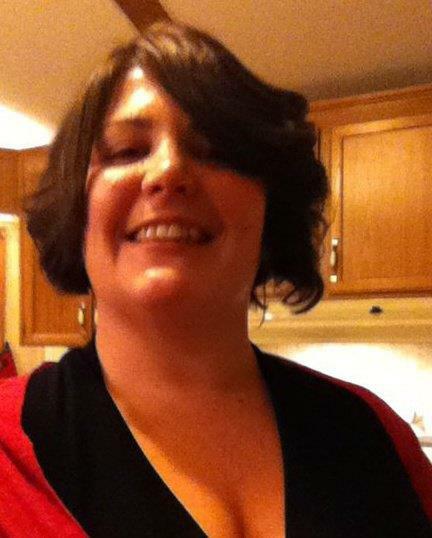 Christyn Bergquist is the Coordinator for Health Education at UMass Lowell. Her focus is on alcohol and other drugs and mindfulness practices. 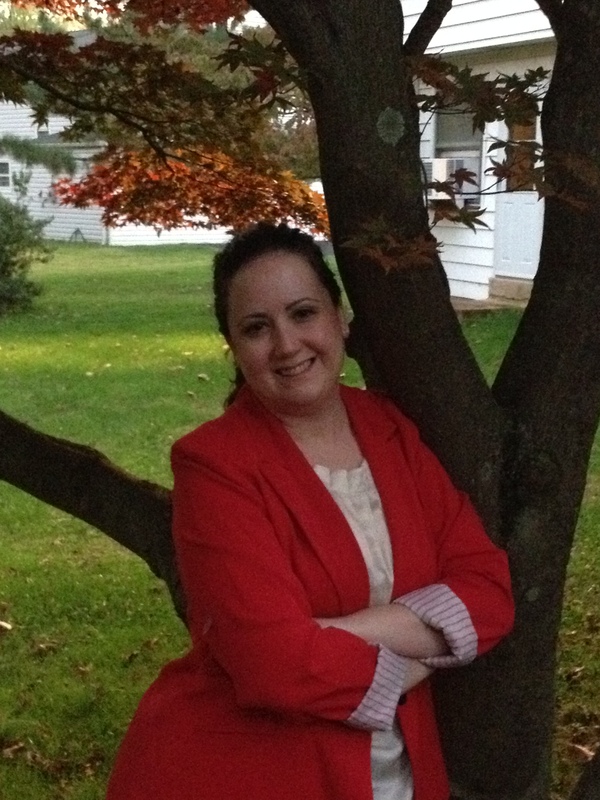 Christyn earned her MBA from Nichols College and her BS in sociology from University of Massachusetts Lowell. Drug overdoses, the majority of which involve prescription medications, continue to be the leading cause of accidental death in this country. How can that be? If a highly trained medical professional prescribes these drugs, surely they can’t cause serious problems, right? Let me provide a scientific explanation for why they most certainly can. Any drug, pharmaceutical or not, can be dangerous when misused. The reason for this boils down to pharmacology, or the science behind drug action. Drugs, like all chemicals, have a three-dimensional structure to them, and that specific shape dictates in part where that drug goes in the body, how quickly it does so, and importantly what target it binds. So what is a drug target? Most commonly, these are proteins that carry out an important function in the body. They might be enzymes that help to catalyze chemical reactions. They might be receptors that help cells to translate chemical signals into a cellular response. They can be ion channels that open up and allow ions to flow across the cell membrane. In a nutshell, these targets do something in the body to produce some type of physiological response. Drugs bind to and modify target function – that is, drugs can ramp up a target’s baseline activity or inhibit its activity all together. Importantly, the drug-target interaction is typically quite specific, and drugs with similar structures often bind to the same target. So let’s think about it. Could a medicinal drug and an illicit drug theoretically have similar structures? Absolutely. Could a similarly structured medicinal drug and an illicit drug theoretically bind the same target? Absolutely. So then, could a medicinal drug and illicit drug elicit the same response? Absolutely. The target doesn’t care if the chemical is medicinal or not – it’s just going to respond. Let’s use the example of the opioids to illustrate this point. Below you will find the chemical structures of heroin (an illicit street drug; right) and oxycodone (a prescription pain reliever medication; left). 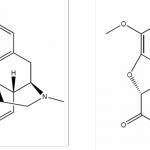 You don’t need to be a chemist to recognize that these two drug structures are very similar. Indeed, both of these drugs bind to the same target (the opioid receptor), both of these drugs affect how that target works, and both of these drugs can cause detrimental and sometimes fatal outcomes. The chemical structures of heroin (right) and oxycodone (left) are similar. Image courtesy of Nicole Kwiek. We can label drugs as being “good” or “bad,” medicinal or illicit. However, the body doesn’t care about the name of the drug or from where the drug came. The body, and more specifically the targets, react according to the chemistry of the drugs. 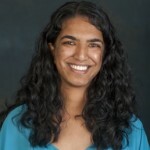 Nicole Kwiek, PhD, is a clinical assistant professor in pharmacology and Director of Undergraduate Studies at The Ohio State University College of Pharmacy. 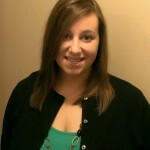 Her interests include science education outreach, pharmacology for K-12 students, and prescription drug misuse awareness. The landscape of higher education has changed in many ways in the past two decades, but one thing that continues is the challenge that colleges and universities face in addressing high-risk drinking. 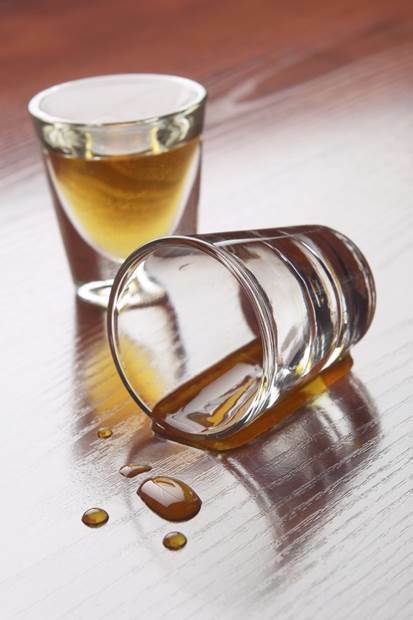 The potential negative consequences of high-risk drinking are endless and can be compounded when mixed with other drugs, including prescription drugs. Recognizing this need, Drug Free Action Alliance created the Ohio College Initiative, the nation’s first statewide initiative to address high-risk drinking, in 1996 and has continued to drive this unique collaboration. 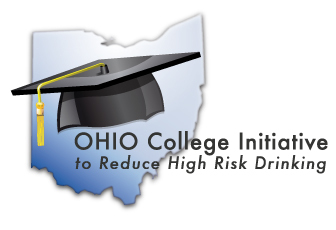 The Ohio College Initiative focuses on decreasing high-risk alcohol use by utilizing environmental prevention strategies, specifically reducing access and availability; reducing marketing and promotion of substances; increasing consistent enforcement of laws and policies; increasing social, recreational, and academic options; and creating a health promoting environment. These strategies echoed the prevention philosophy of the former Higher Education Center for Alcohol and Other Drug Prevention, considered the nation’s primary resource for college and university prevention programming. The Higher Education Center was an important ally in the work of the Ohio College Initiative and provided technical assistance and support. With limited resources, it was imperative that campuses not only relied on each other, but also on the communities in which they were located. In the first year, 19 institutions created campus-community coalitions to address high-risk drinking. Almost twenty years later and with 53 member institutions, this pioneering initiative is still in existence. Although high-risk drinking prevention will always be at the heart of the Ohio College Initiative, in recent years many institutions have seen an increase in the number of students using marijuana and misusing prescription drugs. The need to address these issues in an effective way is evident and with the rebirth of the Higher Education Center in our backyard, there is no better time than now to refocus the collaborative efforts of Ohio’s college campuses. With a formal partnership between the Higher Education Center and Drug Free Action Alliance, colleges and universities across the state will have access to support, education, technical assistance, and opportunities for networking that will assist them in building strong prevention programs to address not only high-risk drinking, but also the increase in marijuana use and prescription drug misuse among their students. Members of the Ohio College Initiative will be meeting in May to celebrate this new chapter in its history and learn more about the opportunities it brings. The Ohio College Initiative is supported by the Ohio Department of Mental Health and Addiction Services. 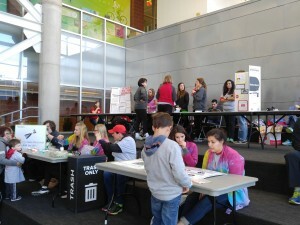 To learn more about the Ohio College Initiative, please visit DrugFreeActionAlliance.org/ohiocollege. 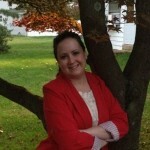 Cindy Clouner is the Program Manager for the Ohio College Initiative through Drug Free Action Alliance. 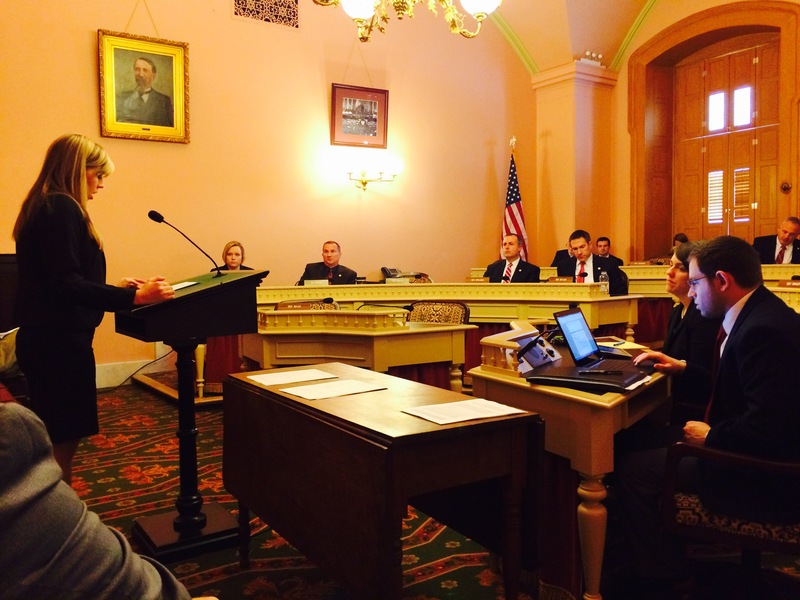 It is an exciting time for pharmacy in Ohio, as several bills have recently been introduced that have the potential to affect the future of pharmacy practice. 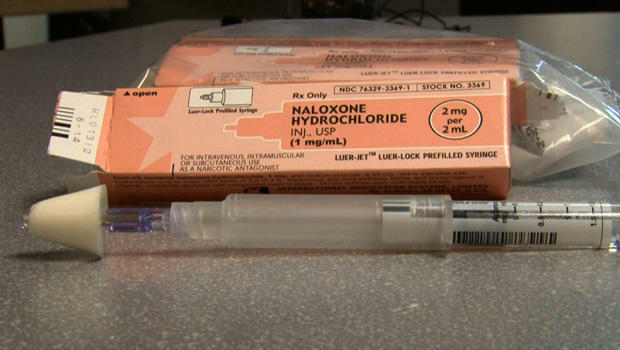 One issue that has received a lot of attention is naloxone dispensing. As many are already aware, the opioid epidemic is a huge public health concern in Ohio and across the nation. Drug overdose is the leading cause of accidental death in Ohio, which means our citizens are more likely to die from a drug overdose than a motor vehicle accident. This is simply unacceptable. If a drug user overdoses, naloxone (Narcan) can be used to restore normal breathing and save his or her life. Current law in Ohio allows paramedics and first responders, such as police officers and firefighters, to carry the drug. In 2014, Governor John Kasich also signed House Bill 170 into law, which allowed physicians to prescribe naloxone to active drug users, family members, and friends of those who may be at risk. An intranasal naloxone kit such as this one can be used in the event of an opioid overdose to reverse respiratory depression and prevent opioid-related death. Image courtesy of CBS News. This issue is very important to me as a student pharmacist not only because I am an active member in Generation Rx, but also because opioid misuse is likely to be a very important issue throughout my career. Pharmacists are the most accessible health care providers and are instrumental members of the health care team. I was fortunate enough to have the opportunity to give testimony in support of HB 4 to the Ohio Health and Aging Committee, and I was very encouraged by the feedback I received from Ohio’s representatives. Many legislators do not know the education pharmacists receive today, nor do they fully understand the scope of pharmacy practice. Students’ voices are powerful, and legislators listen to students who are passionate about their profession. I encourage student pharmacists across the country to be aware of the issue of naloxone dispensing, as it will likely affect many of us throughout our careers. I hope that by learning about HB 4, you are encouraged by the work that Ohio is doing to put pharmacists in position to combat the opioid epidemic. 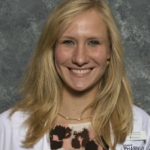 Kelsey Kresser is a second-year Doctor of Pharmacy candidate at The Ohio State University College of Pharmacy. The Generation Rx Initiative at Ohio State University aims to broadly spread awareness about the growing problem of prescription drug misuse. Our audiences range from young elementary-aged kids to senior citizens, and like many organizations involved in this type of work, we are constantly devising innovative ways to deliver our message. One way that we have found success? 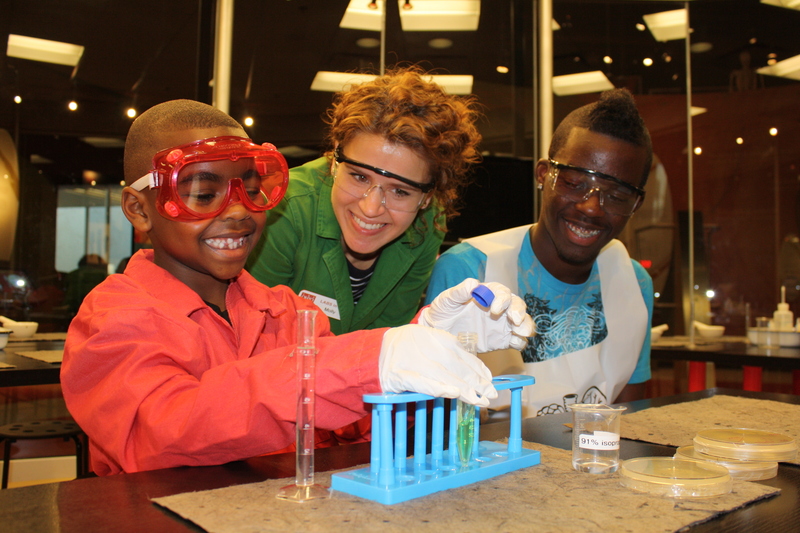 Mobilize college students to lead outreach activities. We are amazed at the energy and creativity these students bring to spearhead so much of our work. Another innovative approach? Develop creative partnerships. Don’t be afraid to open up conversation with an unexpected group or institution; you may be surprised to find a common mission! Through working at the Generation Rx Lab, I have had a unique opportunity to practice and build my science communication skills, while spreading the Generation Rx message. By utilizing college students to conduct and lead activities, COSI guests are afforded the chance to learn about science and medication safety in fun ways; in fact, sometimes it doesn’t seem like learning at all! For example, as part of one of our original activities, we had guests taste PTC paper, which contains a chemical some people can taste while others cannot. We used this to segue into an activity involving DNA extraction with a sports drink and soap. This may have seemed like simply a fun science experiment, but we used the activity to set up a discussion of personalized medicine and the fact that medicines do not work the same way in everybody. Our underlying message, therefore, was focused on medication safety. Recently, the lab welcomed a new addition to its family: a METIman medical robot, which affords lab guests the opportunity to simulate emergency medical treatments. So far, the dummy (Bob the Abra Cadaver) has experienced hypoglycemia, an allergic reaction, and a heart attack. Guests have been able to follow step-by-step protocols to help resolve Bob’s health crises. 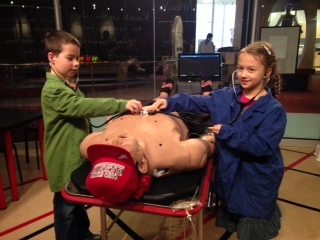 The Generation Rx Lab is supported by the Cardinal Health Foundation. Learn more about the Generation Rx Lab at go.osu.edu/genrxlab. 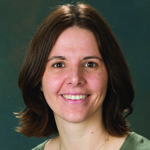 Nicole C. Kwiek, PhD, is a clinical assistant professor and Director of Undergraduate Studies at The Ohio State University College of Pharmacy. 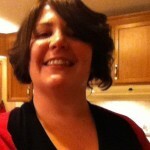 She is director of the Generation Rx Lab at COSI. Nira Kadakia is a second-year Doctor of Pharmacy student at The Ohio State University College of Pharmacy.